E.B. White, senior class portrait, Cornell University. Elwyn Brooks White (July 11, 1899, Mount Vernon, NY – October 1, 1985, North Brooklin, Maine) was a leading American essayist and author of children's literature. As a literary stylist, he championed clear, concise and well-written prose. A liberal free-thinker, White often wrote as an ironic onlooker, exploring the complexities of modern society, the unique character of urban and rural life, the often baleful influence of technology, and the emerging international system. White was skeptical about organized religion, but held a deep respect for nature and the uncluttered life. His writing ranged from satire to textbooks and children's fiction. His writers' style guide, The Elements of Style, remains a classic text on concise prose writing; his three children's books, Charlotte's Web, Stuart Little, and The Trumpet of the Swan, are among the most widely read and influential children's literary works of the twentieth century. Charlotte's Web is regarded as the best-selling children's book of all time. It's story of sacrificial love is one of the most heart-wrenching stories in children's literature. E.B. White was born in Mount Vernon, New York and graduated from Cornell University with a Bachelor of Arts degree in 1921. 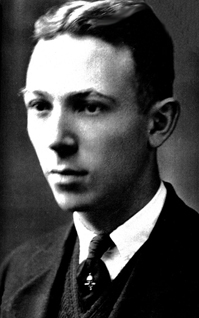 He picked up the nickname "Andy" at Cornell, where tradition confers that moniker on any student surnamed White, after Cornell co-founder Andrew Dickson White. While at Cornell, he worked as editor of The Cornell Daily Sun with classmate Allison Danzig, who later became a sportswriter for The New York Times. White was also a member of the Quill and Dagger society, a semi-secret honor society that recognized members for their leadership, honor, and dedication to service. He wrote for The Seattle Times and Seattle Post-Intelligencer and worked in an advertising firm before returning to New York City in 1924. He published his first article in The New Yorker magazine in 1925, then joined the staff in 1927 and continued to contribute for six decades. Best recognized for his essays and unsigned Notes and Comment pieces, he gradually became the most important contributor to The New Yorker at a time when it was arguably the most important American literary magazine. He also served as a columnist for Harper's Magazine from 1938 to 1943. In the late 1930s White turned his hand to children's literature on behalf of a niece, Janice Hart White. His first children's book, Stuart Little, was published in 1945, and Charlotte's Web appeared in 1952. Both were highly acclaimed, and in 1970 jointly won the Laura Ingalls Wilder Medal, a major prize in the field of children's literature. In the same year, he published his third children's novel, The Trumpet of the Swan. In 1973, that book received the Sequoyah Award from Oklahoma and the William Allen White Award from Kansas, both of which were awarded by students voting for their favorite book of the year. In 1959, White edited and updated The Elements of Style. This handbook of grammatical and stylistic dos and don'ts for writers of American English had been written and published in 1918 by William Strunk. Jr., one of White's professors at Cornell. White's rework of the book was extremely well received, and further editions of the work followed in 1972, 1979, and 1999; an illustrated edition followed in 2005. That same year, a New York composer named Nico Muhly premiered a short opera based on the book. The volume is a standard tool for students and writers, and remains required reading in many composition classes. In 1978, White won a special Pulitzer Prize for his work as a whole. Other awards he received included a Presidential Medal of Freedom in 1963 and memberships in a variety of literary societies throughout the United States. White was also a world federalist, and once said, "Government is the thing. Law is the thing. Not brotherhood, not international cooperation, not security councils that can stop war only by waging it…. Where does security lie, anyway - security against the thief, the murderer? In brotherly love? Not at all. It lies in government." White married Katharine Sergeant Angell White in 1929, also an editor at The New Yorker, and author (as Katharine White) of Onward and Upward in the Garden. They had a son, Joel White, a naval architect and boatbuilder, who owned Brooklin Boatyard in Brooklin, Maine. Katharine's son from her first marriage, Roger Angell, has spent decades as a fiction editor for The New Yorker and is well-known as the magazine's baseball writer. White died on October 1, 1985 at his farm home in North Brooklin, Maine, after a long fight with Alzheimer's disease. He was cremated, and his ashes were buried beside his wife at the Brooklin Cemetery. White's style was wry, understated, thoughtful, and informed. He was widely regarded as a master of the English language, noted for clear, well-constructed, and charming prose. He encouraged an American English by adopting Anglo-Saxon derived terms rather than focusing on finding the Latin origin of the words he used.Many readers single out his essay "Here Is New York," written for Holiday magazine in 1948 and published in book form the next year, for its distillation of the bittersweet pleasures of New York City life. It was widely quoted after the terrorist attacks of September 11, 2001 attacks, because of a passage—written at the beginning of the age of nuclear weapons—in which he talks about New York's vulnerability: "The city, for the first time in its long history, is destructible. A single flight of planes no bigger than a wedge of geese can quickly end this island fantasy, burn the towers, crumble the bridges, turn the underground passages into lethal chambers, cremate the millions. The intimation of mortality is part of New York in the sound of the jets overhead, in the black headlines of the latest edition." White is most beloved for his works of children's literature, such as Stuart Little and especially Charlotte's Web. First published in 1952, Charlotte's Web tells the story of a pig named Wilbur and his friendship with a barn spider named Charlotte. The book was illustrated by Garth Williams, whose charming sketches has been retained in innumerable editions since its first publication. White had published Death of a Pig in 1948, an account of how he failed to save a sick pig (which had been bought in order to be fattened up and butchered), Charlotte’s Web can be seen as White attempting "to save his pig in retrospect." When White met the spider who originally inspired Charlotte, he called her Charlotte Epeira (after Epeira sclopetaria, the Grey Cross spider, now known as Aranea sericata), later discovering that the more modern name for that genus was Aranea. In the novel, Charlotte gives her full name as "Charlotte A. Cavatica," revealing her as a barn spider, an orb-weaver with the scientific name Araneus cavaticus. The anatomical terms (such as those mentioned in the beginning of chapter nine) and other information that White used came mostly from American Spiders by Willis J. Gertsch and The Spider Book by John Henry Comstock, both of which combine a sense of poetry with scientific fact. White incorporated details from Comstock's accounts of baby spiders, most notably the "flight" of the young spiders and also the way one of them climbs to the top of a fence before launching itself into the air. White sent Gertsch’s book to Illustrator Garth Williams. Williams’ initial drawings depicted a spider with a woman’s face, and White suggested that he simply draw a realistic spider instead. Written in White's dry, low-key manner, Charlotte's Web is considered a classic of children's literature, enjoyable to adults as well as children. The description of the experience of swinging on a rope swing at the farm is an often cited example of rhythm in writing, as the pace of the sentences reflects the motion of the swing. Publishers Weekly listed Charlotte's Web as the best-selling children's paperback of all time as of 2000. Charlotte's Web was generally well-reviewed when it was released. In The New York Times, Eudora Welty wrote, "As a piece of work it is just about perfect, and just about magical in the way it is done." Aside from its paperback sales, Charlotte's Web is 78th on the all-time bestselling hardback book list. According to publicity for the 2006 film adaptation, the book has sold more than 45 million copies and been translated into 23 languages. It was a Newbery Honors book for 1953, losing to Secret of the Andes by Ann Nolan Clark for the medal. In 1970, White won the Laura Ingalls Wilder Medal, a major prize in the field of children's literature, for Charlotte's Web, along with his first children's book, Stuart Little, published in 1945. White has had a lasting influence on generations of writers, both through the example of his direct, economical style and through the continuing influence of his classic slim volume on style, The Elements of Style. "No one can write a sentence like White," James Thurber once said of his crisp and graceful writing. ↑ What leaders say about global governance World Federalists of Canada. Retrieved February 25, 2009. ↑ Scott Elledge. E.B. White: A Biography. (New York: W. W. Norton & Company, 1986. ISBN 0393303055), 1. ↑ Michael Cobden, "E.B. WHITE: FAREWELL TO AN ELEGANT, PRECISE, BELOVED WRITER," Kingston Whig-Standard (ON). Editorial, Thursday, October 3, 1985. accessed on October 7, 2006. ↑ Paperback Retrieved February 19, 2009. ↑ Paul Bodine. Operative Words: Essays and Reviews on Literature and Culture, 1981. (iUniverse. 2002. ISBN 0595243045), 192. History of "E. B. White"
This page was last modified on 11 March 2009, at 12:36.